The Local Agency Formation Commission (LAFCo) is an independent commission created by the State to promote the wise use of land resources while providing for the present and future needs of a community. 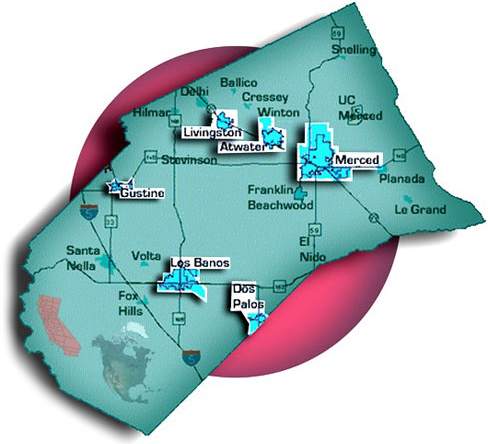 LAFCo Commissioners have a responsibility to exercise their independent judgement while making decisions concerning appropriate local governmental boundaries and service providers. Planned, well-ordered, and efficient development patterns. Governmental services are delivered efficiently and effectively. The need to provide for urban development is balanced with the conservation of open space and prime agricultural lands. Urban land use patterns maximize the opportunity for local jurisdictions to provide their fair share of regional housing needs for all income levels. "The Legislature recognizes that the logical formation and determination of local agency boundaries is an important factor in promoting orderly development and in balancing such development with sometimes competing state interests of discouraging urban sprawl, preserving open space and prime agricultural lands, and efficiently extending government services. The Legislature also recognizes that providing housing for persons and families of all incomes is an important factor in promoting orderly development." Files on this site will require you to download and install the free Adobe Acrobat Reader.